Wanderlust Wining Napa Valley is a fun, delicious journey through many of Napa Valley's finest wine countries; exploring their outdoor activities and wine tasting specialties. It's a one-stop-read to crafting active wine tasting trips in unique (and familiar) wine countries all over Napa Valley. Discover how to kick off mornings with action-packed activities and spend the remainder of the day sniffing, swirling and sipping through local wineries. Learn how to taste wine like a pro and be in the ''local know'' about the best hiking and mountain biking trails or places to paddle, surf and sail. Visit creameries, galleries or savor a sustainable wine dinner served in the middle of a vineyard. 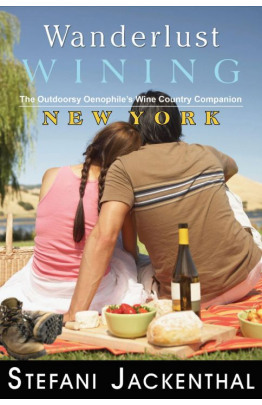 Each fast-paced, easy-to-understand chapter offers light-handed wine education and historic facts about the area's wines, local parks and sports outfitter, ''must-go'' restaurants, art galleries, markets, vineyards, and more.